Another adorable little top from the pattern at www.jcarolinecreative.com. 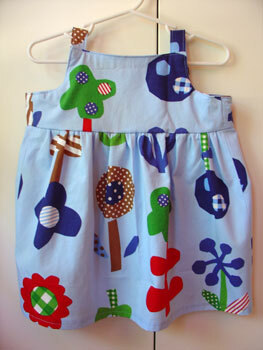 The fabric is "picnic" from Kokka that I bought ages ago from Purl Patchwork. I lengthened the top to turn this one into a dress. The pattern is so cute and comes together very nicely.